Katamama is clad inside and out with more than a million and a half hand-crafted red bricks. 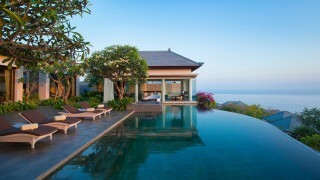 A pool area for guests to lounge around and relax. The bathroom space at Katamama's Pool Suite accommodation. Katamama's spacious Pool View Suite. 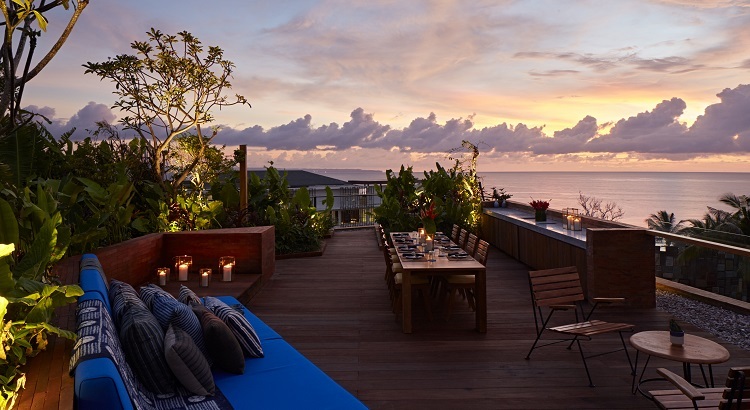 Rooftop Suites come with a private rooftop garden area with jacuzzi, outdoor shower, and an outdoor lounge. Katamama's open-plan suites are spacious and residential in feel. 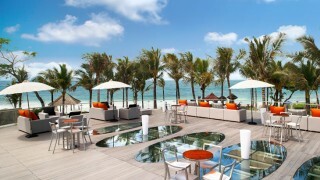 Fans of Indonesia’s design-savvy PTT Family hospitality and lifestyle group, whose Potato Head brand has expanded in just a few short years from Jakarta to Bali, Singapore, and soon Hong Kong, will rejoice at the opening of the company’s first hotel—an eye-catching 58-suite property just up from Seminyak Beach. 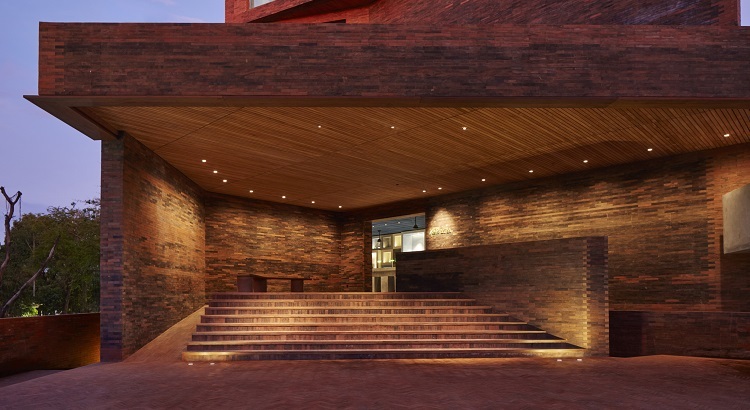 Set behind the wildly popular Potato Head Beach Club and designed by the same architect, Andra Matin, Katamama is clad inside and out with more than a million and a half hand-crafted red bricks. 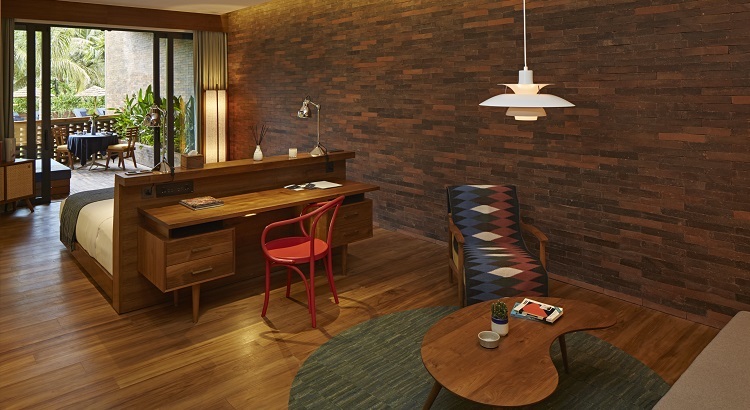 The result is a warm, homey vibe that defies traditional hotel layout, as evinced just through its doors, where guests are greeted not by a lobby as such, but by a terrazzo-countered bar area. 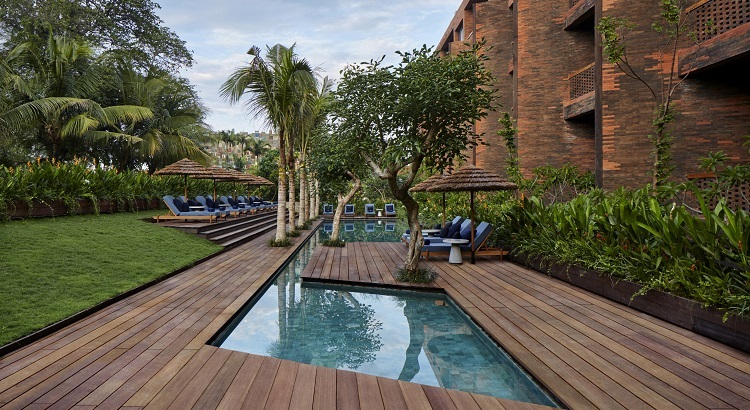 Yogyakarta’s Ark Galerie was enlisted to curate the contemporary artworks scattered throughout the property. 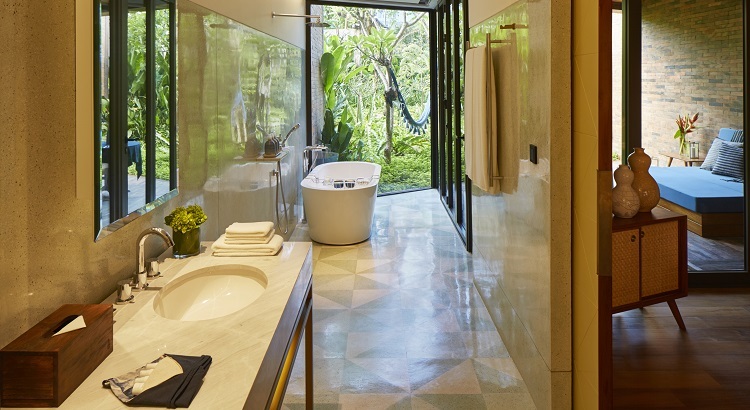 Starting at 82 square meters, the open-plan suites are spacious and residential in feel, dominated by mortar-less brick walls, teak floors, and gleaming terrazzo bathrooms. 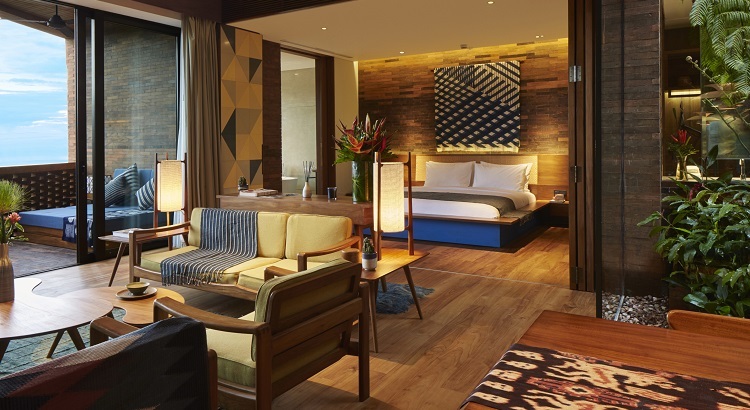 Fitted out by Singaporean design firm Takenouchi Webb, they’re also full of vintage furnishings (Louis Poulsen pendant lamps; Le Corbusier chairs) and other mid-century-inspired pieces, as well as rugs from a traditional Balinese textile workshop that are dyed with natural indigo, the hotel’s signature hue. 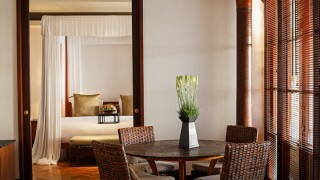 Some rooms have garden views, some overlook the swimming pool and its thatched sun umbrellas, and three have their own pools—but all feature an in-room cocktail bar like no other, complete with custom-made cocktail equipment and a selection of house-infused spirits and aromatic bitters. For unobstructed sea views (and alfresco hot tubs), you’ll want to book one of the vast rooftop suites. Just steps away from Potato Head Beach Club and within easy reach of the neighborhood’s top restaurants and bars, Katamama holds its own as the home of the first overseas outpost of Melbourne’s beloved tapas house, MoVida. The impressive collection of Spanish conservas and jamóns here is clearly a crowd pleaser, as are sharing plates like the outstanding cecina (air-dried beef) with truffle foam and a poached organic egg, and Javanese lamb shoulder from the top-of-the-line Josper grill. Cocktail classes with ex-London mixologist Dre Masso in Akademi, the bar area at the entrance to the hotel. Officially dubbed a “center of mixology,” the venue is part lab, part training facility for upcoming Balinese bartenders, and part showcase for Masso’s love of local ingredients. Twenty different arak infusions are displayed on one wall, while every month, Akademi conducts a “study” of a single ingredient—cacao, for example—across a range of innovative drinks. 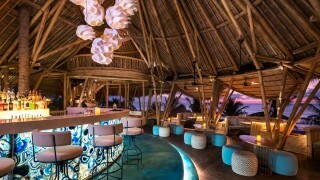 Guests can learn to mix any of 20 signature cocktails that Masso has on his roster, from a Jumping Julep made with jackfruit puree and blimbing buluh juice, to an Ind-Old Fashioned that adds coconut nectar and vanilla arak to the classic recipe.